WOCA will be held at the Shanghai New International Exhibition Center from December 4 to 6, 2017. 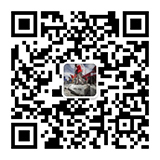 This will be the first time to display the complete industrial chain of concrete and construction industry domestically. At the same time, there will be abundant fringe programs during the exhibition period. Organized by Asian Concrete Construction Institute (ACCI), supported by Concrete Branch of the China Construction Industry and Indian Concrete Institute, the summit is to enhance the communications and foster regional co-operation for the development within the Asian counties. The experts from USA will bring us the latest topics on various angles of concrete technologies and applications. 1.4 Moreover, there will be 1 Day Seminar – Concrete Green Production Technology co-organized by ITIBMIC (Institute of Technical Information for Building Materials Industry) and 1 Day Seminar – Application of New Admixture in Concrete Engineering co-organized by CCAA (Concrete Admixture Branch of China Building Materials Federation Building Materials Academy). Details will be announced soon! There will be five terrazzo projects as examples to be shared. According to each project, there will be followed by comments from Xiaoxin Liu, the Chief Expert of CFA. Two Experts from CMRA (China Construction Material Rental Contractor Association) will give speeches on the safety of professional contractor and legal knowledge of risk prevention and control. Industry experts invited by China Aggregates Net will analyze the changes of aggregate industry, the manufacturing technique in aggregate industry and so on deeply. * Above content is updated on November 9th.